From 17-22 January 2018, at Visual Arts Centre – INSTANT FAME is a Singaporean Pop Art group exhibition featuring Billy Ma, Stefanie Hauger, Leo Liu Xuanqi, Andre Tan, Justin Lee, Iskander Walen, and TR853-1 (Traceone). The exhibition showcases a collection of works typical of the artists’ style and thematic content, in classic and new sculptures, paintings, and prints. Come see why these artists have become known and loved among art lovers locally and abroad. INSTANT FAME is a good introduction to the most prolific Pop Art practitioners in Singapore. 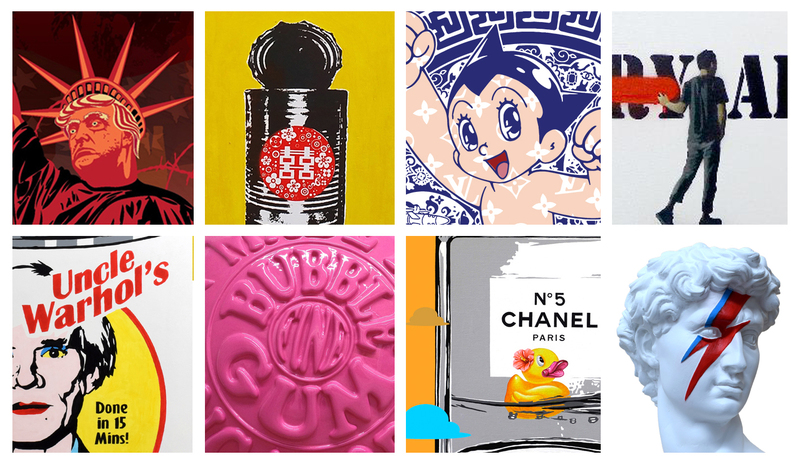 These artists’ work reflects on modern life and pop culture, delving into our ever-increasing obsessions with celebrity, money, branded goods, popular culture, and consumerism gone wild. Andre Tan’s slick cuteness, Hauger’s social commentary, Ma’s ad-like poster designs, Leo Liu and Iskander Walen’s tongue-in-cheek playfulness, TR853-1’s honest self-reflection, and Justin Lee’s double happiness are already well-known and appreciated by pop and modern art lovers locally and globally. Catch this wonderful showcase that assembles the best Pop Artists in Singapore in a one-of-a-kind Pop Art event highlighting a range of different takes on this exciting and popular art movement. We look forward to welcome you there! Organised by Orange Gallery Singapore and Utterly Art Gallery. From 17-22 January 2018, at Visual Arts Centre, INSTANT FAME is a Singaporean Pop Art group exhibition featuring Billy Ma, Stefanie Hauger, Leo Liu Xuanqi, Andre Tan, Justin Lee, Iskander Walen, and TR853-1 (Traceone).